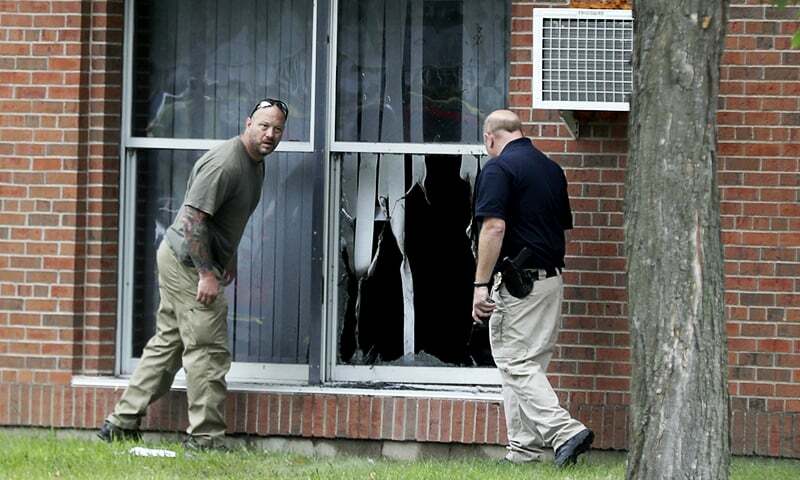 An "improvised explosive device" targeting a mosque in Minneapolis during morning prayers on Saturday damaged the imam's office, but did not cause any injuries, the Federal Bureau of Investigation (FBI) said. According to a report on the Minneapolis Star Tribune, someone apparently threw the bomb through a window that caused the explosion at the Dar Al-Farooq Islamic Center in Bloomington town, south of Minneapolis city. The blast at 5:00 am damaged the imam's office but worshippers managed to put out the fire, even before the firefighters arrived at the scene, the report said quoting a statement from the Muslim American Society of Minnesota. The FBI is leading the investigating. Several mosques and American Muslims have come under attack amid a wave of Islamophobia triggered by statements by some of the Republican candidates during the 2016 presidential campaign, including United States (US) President Trump who had proposed a complete ban on Muslims from entering the US . Following up on his election promises, and after several legal challenges, President Trump was eventually able to get a decision in support of his Executive Order that ban citizens from six Muslim-majority countries from travelling to the US for at least 90 days, allowing authorities to implant a stricter screening process. The attack on the Dar-Al-Farooq Islamic Centre is the latest in a string of attacks that took place during and after the presidential election campaign.